When the first Russian fur hats were designed, they looked the same both for the rich and the poor. The only difference was the quality of the fur that was used. After many years, fur hats were divided not only by their quality, but also by their model. Fur hats were very expensive at that time, being a symbol of status and fortune. You had to be very rich to afford such a beautiful accessory. But everything had changed after the reforms of Peter I. The look of the Russian clothes had changed and fur hats were not forgiven. The second revolution of the Russian costume occurred after the onset of the industrial production of clothing and the growth of the urban population. This Russian fur hats replaced all the other hat types about 1.5 hundred years ago. They became the most popular fur hats in Russia, but soon the whole world heard about the absolutely stunning look of these luxury winter accessories. Back in our times, Ushanka hats are still best sellers in the entire world. If you wonder what does “ushanka” mean, find out that the name is derived from the word “ushi” – ears. There is no doubt, the main details of the fur hat are the ear covers that protect ears even in the coldest days of winter. The best part is that these ears can be lifted or lowered. Snow, wind and low temperatures are not a problem while wearing such warm fur hats. Also, as you may know, these fur hats have a visor. It is not unfoldable, but its role is to protect your eyes from the falling snow. Ear covers protect the ears well, and they have tie-strings that can be tied on top. When it is cold but you need to move a lot – you can tie the ear covers in the back. When it’s cold – the ear covers are brought down. When it is very, very cold, the ear covers can be tied under the chin. A&A Vesa designers love this fur hat type, so we reinterpreted them and made our own models. We use high-quality furs and leather types, such as lamb Nappa leather and arctic fox fur. Don’t have any doubt, our fur hats will protect you during the winter and you will look stylish at the same time. All you have to do is to take care of them and show your fur hats some love. Don’t clean them in a washing machine and store them in a well-ventilated room. If a rain catches you, all you have to do is to gently shake them and let then naturally dry. Don’t use a heating source such as your dryer or the oven. 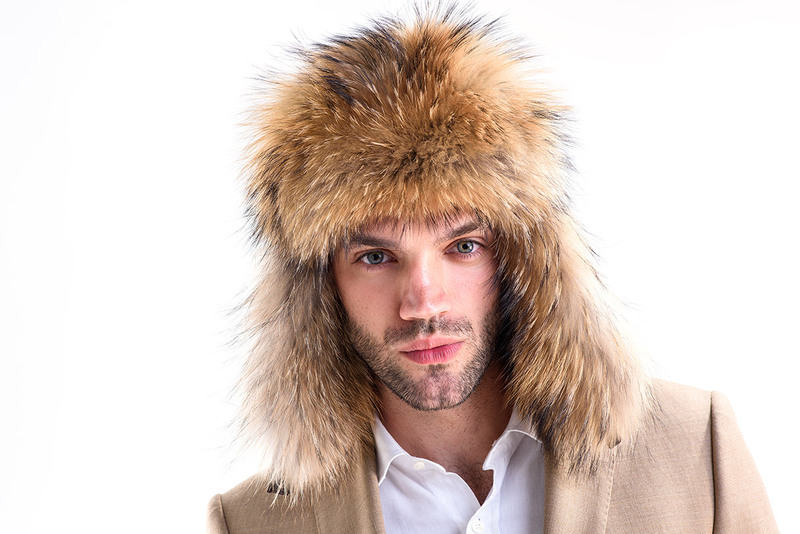 Check out our fur hats collection and choose your favorite Ushanka.